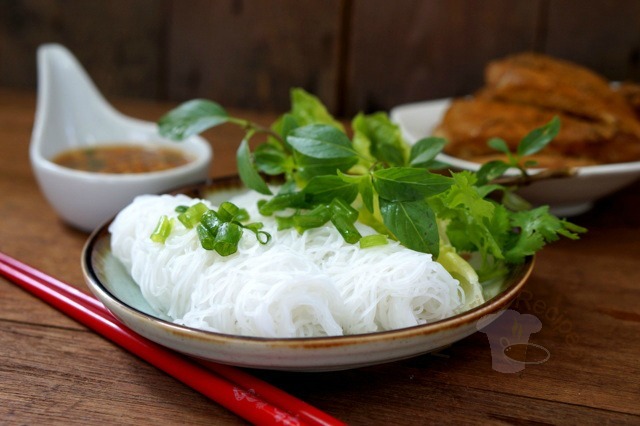 These woven intricate bundles of rice vermicelli called Banh Hoi resemble our local 'string hoppers' or 'putu mayam', a South Indian snack of steamed rice flour noodles and eaten with a sweetened topping of grated coconut and palm sugar (gula melaka). 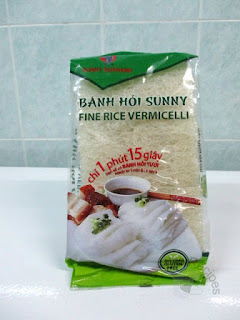 Vietnamese Banh Hoi can be rolled and served with a variety of meat and in my case I served them with pan-fried chicken, sauteed spring onions, salad and a dipping sauce. 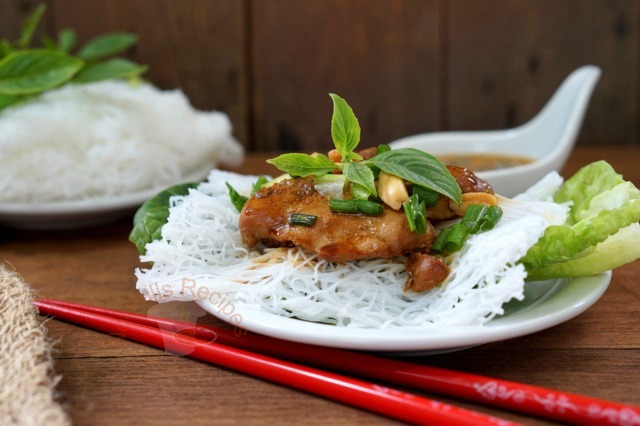 Season the chicken breast with some salt, sugar, light and dark soya sauce. Heat up some oil and pan fry chicken till cooked. Sautee chopped spring onions with oil. 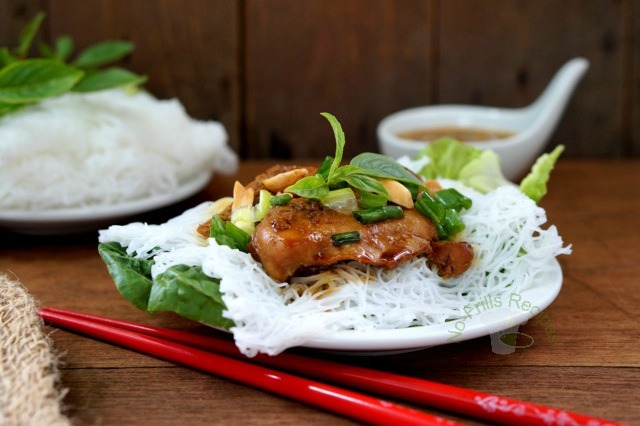 Serve Banh Hoi with salad, sauteed spring onions and chicken. Looks very delicious with that tangy sweet nutty sauce, Cheah. It makes a perfect lunch too.